The dumpster fire that has engulfed Richmond still burns, and it has the Virginia Democratic Party in a bind. Right now, all three top state officeholders are embroiled in scandal. All of them are Democrats. Gov. Ralph Northam and state Attorney General Mark Herring admitted to doing blackface. Lt. Gov. 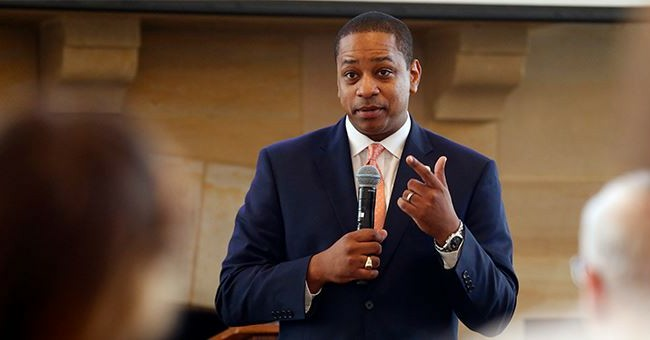 Justin Fairfax has been slapped with two sexual assault allegations. Calls for resignation ring the loudest for Fairfax and Northam, though the latter is adamant of not leaving. Fairfax was facing an impeachment threat from a democratic House delegate, Patrick Hope, who threatened to file articles yesterday should Fairfax not step down. He walked back the remarks Monday morning. Can confirm the @patrickmwilson scoop. 4 staffers for @LGJustinFairfax have left their positions. 2 from his LG office. Leaves him with only 2 people working for him. Keep in mind, @RalphNortham has a much bigger staff under his direct charge and not one person has left his administration or political wing since the scandal broke. Fairfax has a total of six staffers and has now lost four. There have been no defections from the Northam’s crew, but the whole situation remains too good to be true. Ralph Northam whipped out the race card to smear Ed Gillespie in 2017. This development has whittled away any credibility he had. This is revenge. And it’s sweet, but I don’t want Northam to leave. I want his radioactivity to continue to saturate Richmond, drive down turnout, and depress the hell out of the Democratic Party. In less than a week, these three dudes have destroyed the Virginia Democratic Party. And it was all their doing, with their own rules. You can’t get any better than that. Northam can moonwalk all he wants; he’s a blackface-wearing, hypocritical moron who deserves every punch that is being hurled at him. He’s politically brain dead, but no one has told him yet.